UNFC Championship Series “Double Point” Finale at Spokane County Raceway This Weekend! 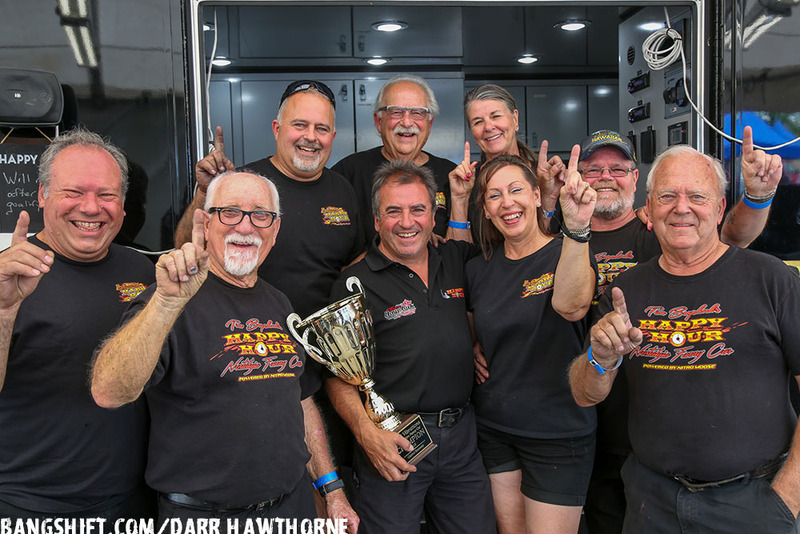 (Photos by Dyan Lover) – This year, the Inaugural Good Vibrations Motorsports United Nitro Funny Car Championship Series has been dominated by one nitro funny car. With four of five races completed in the UNFC Championship Series, second year driver Bobby Cottrell, pilot of the “Northwest Hitter” for Bucky Austin & Mike O’Brien, has taken a sizable lead in the UNFC point standings. Cottrell won the first three UNFC events, starting with the season opener at Tucson Dragway, posting a total of 292 points to Tim Boychuk’s 195 (shown) in second and Jason Rupert in third place with 186 points. 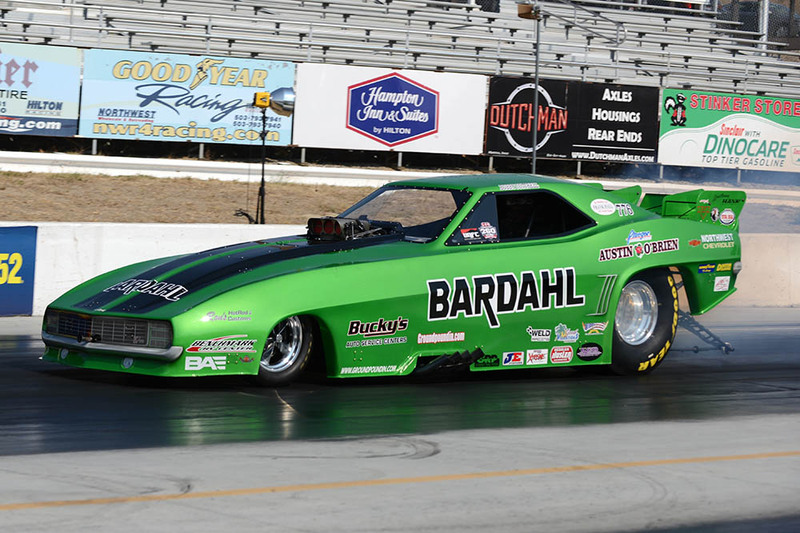 Cottrell piloted the Bardahl-backed Camaro to wins in the Northwest Doubleheader in Spokane and Seattle in July and Tim Boychuk’s “Happy Hour” Camaro (above) was the winner at the next event in Edmonton, Alberta – tightening the points gap. Now, this weekend at the “Double Point” series finale at Spokane County Raceway, (August 17-18) Nightfire Nationals champ Jason Rupert set low elapsed times in both Spokane (5.684) and Seattle (5.627) and an amazing 5.600 in the Boise Nightfire finals against Matt Bynum. As a plus, Jason Rupert’s starting line reaction time of .049 has the lead in WELD Wheels Perfect Light competition, where the closest driver to a .000 reaction time in competition will be awarded a set of WELD 16×16 beadlock wheels. The 2018 Good Vibrations Motorsports/UNFC Series has a Total Payout of $25,000, with $10,000 to the Series Champion, $6,000 to the second place finisher, $4,000 to third, $3,000 to fourth and $2,000 for the number five position. Legends of Nitro Rookie of the Year candidate Billy Morris, driving Eddie Knox’s “Problem Child” Camaro has been qualifying well and going rounds, ripping off a stout 5.69/245mph pass recently. At the Spokane County Raceway “Double Point” Good Vibrations Motorsports/UNFC series finale, gates open at 3PM Friday and at Noon on Saturday, with nine nitro funny cars expected, under the lights! We’ll have the results next week! I stopped being interested when they started using the Pro Mod style bodies. These are not Nostalgia in any way shape or form. Should just call them Nitro Pro Mods and be honest about it. 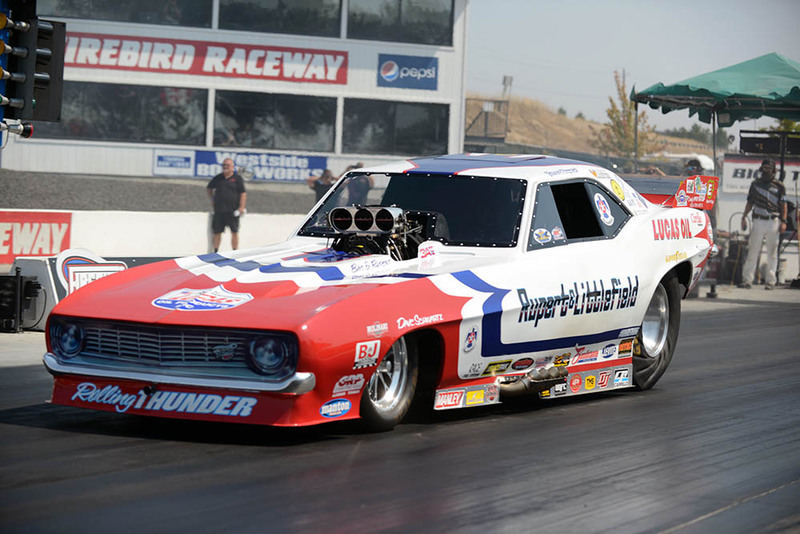 The UNFC is west coast nitro funny car racing, not a nostalgia pageant. This is some of the best racing. Close side by side action.